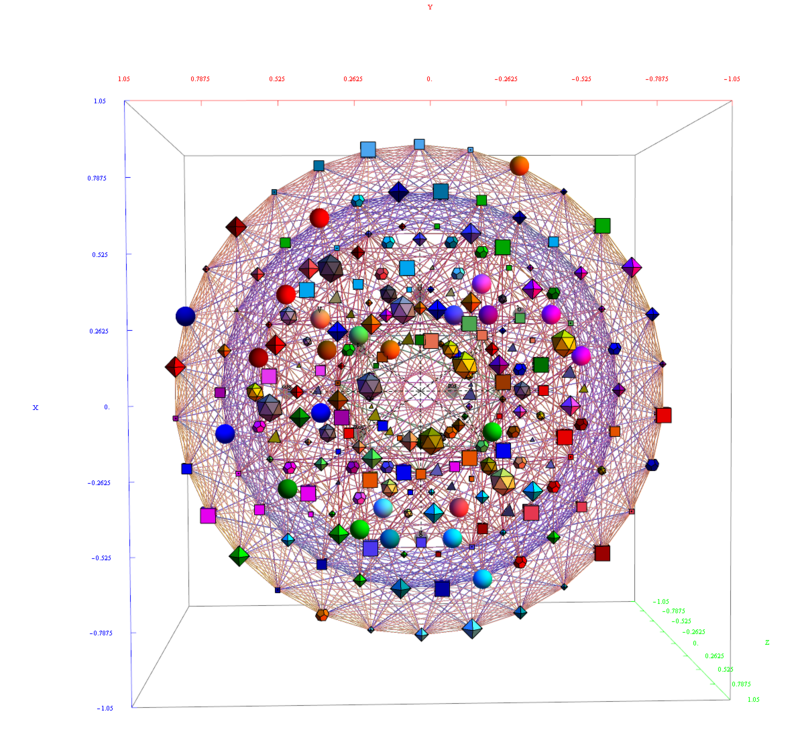 Dynkin | Visualizing a Theory of Everything! 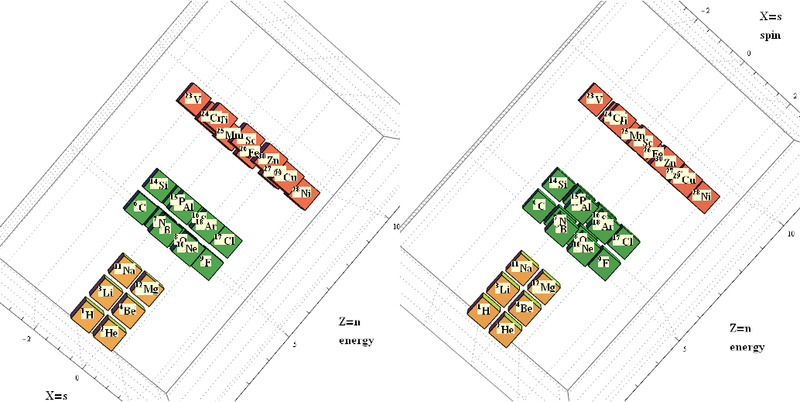 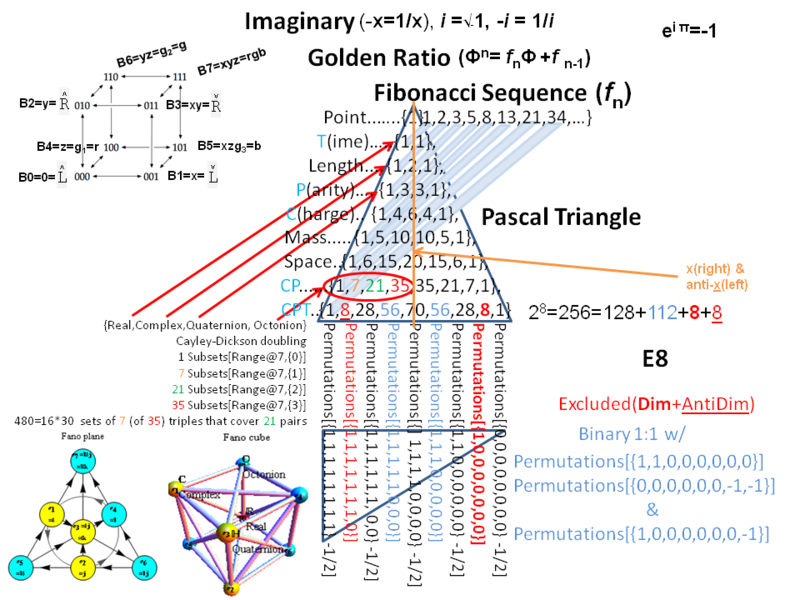 My latest paper on E8, the H4 folding matrix, and integration with octonions and GraviGUT physics models. 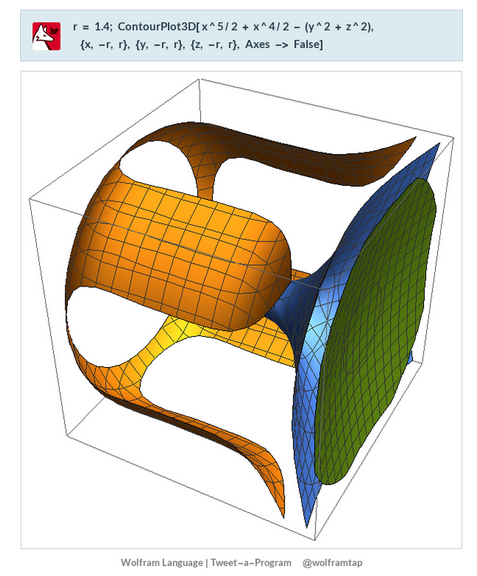 The full paper with appendix can be found on this site, or w/o appendix on viXra. 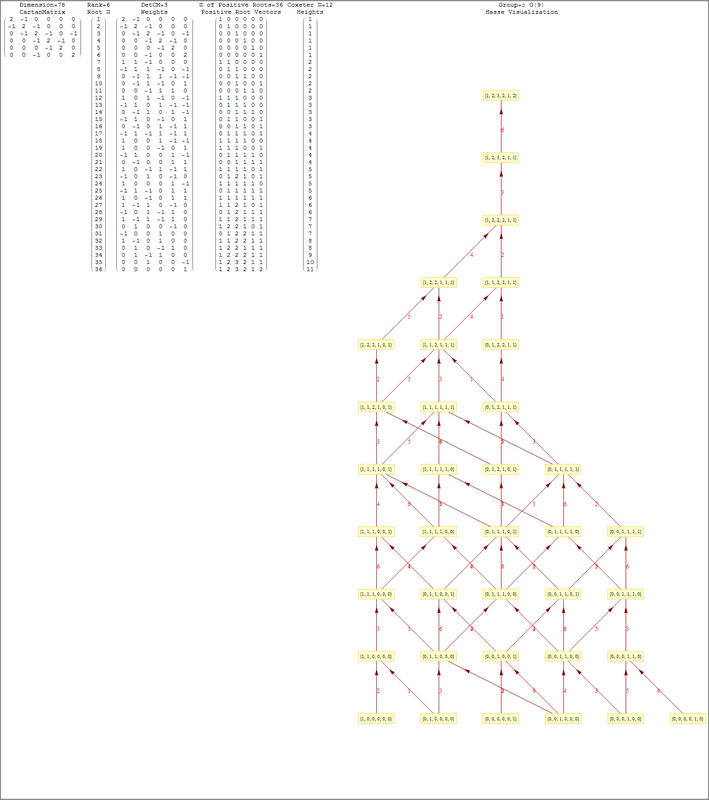 (13 pages, 14 figures, 20Mb). 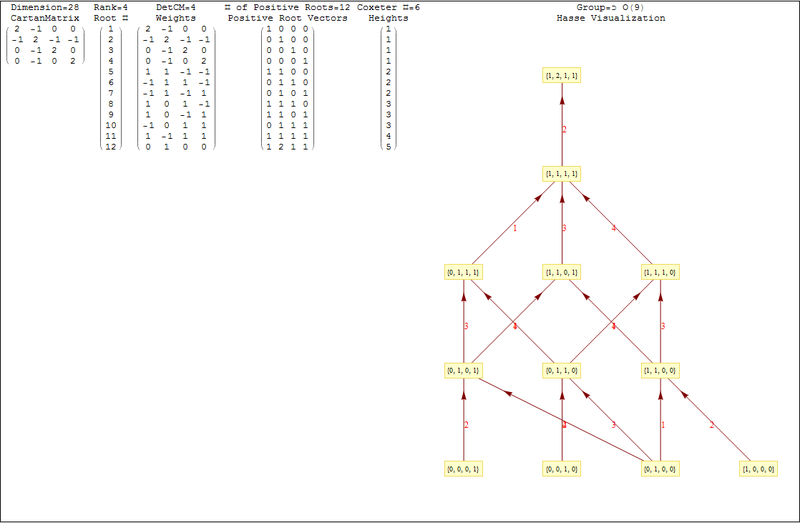 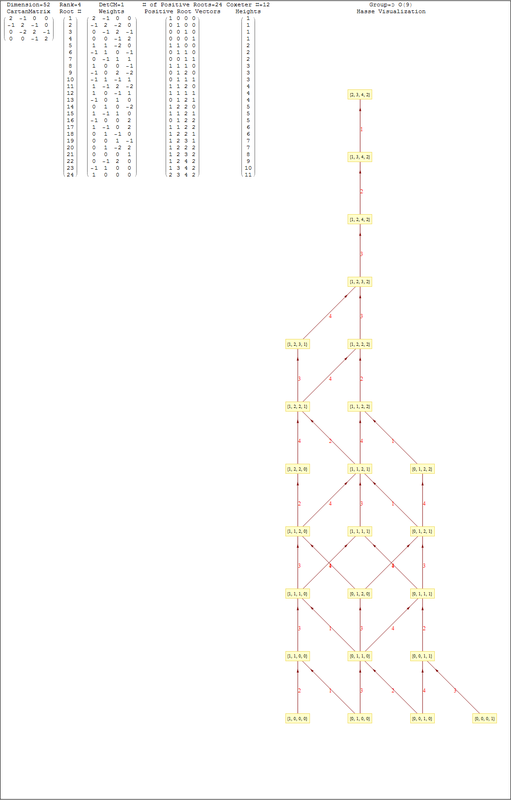 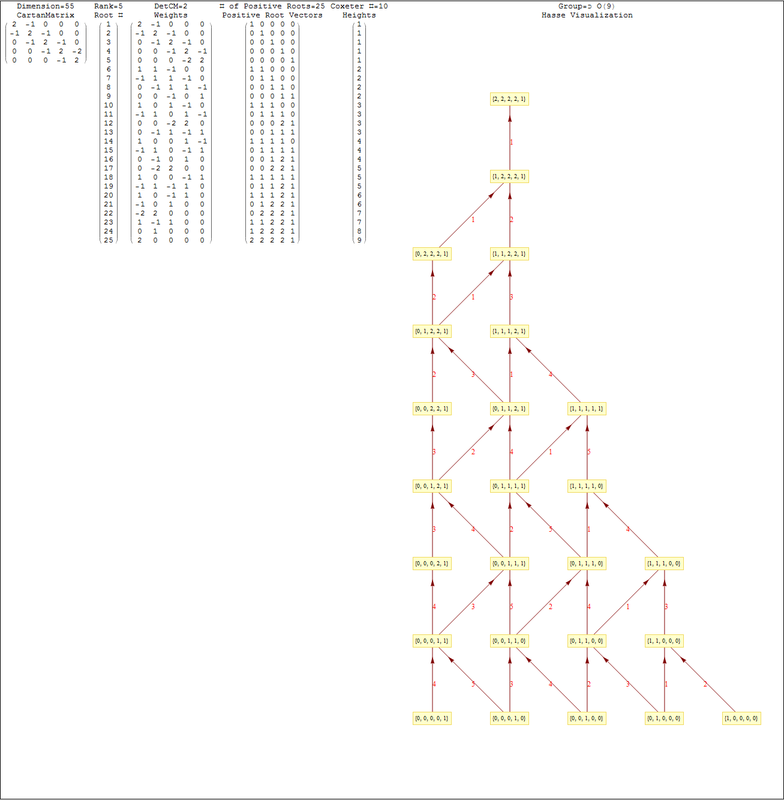 The 22 page appendix contains the E8 algebra roots, Hasse diagram, and a complete integrated E8-particle-octonion list. 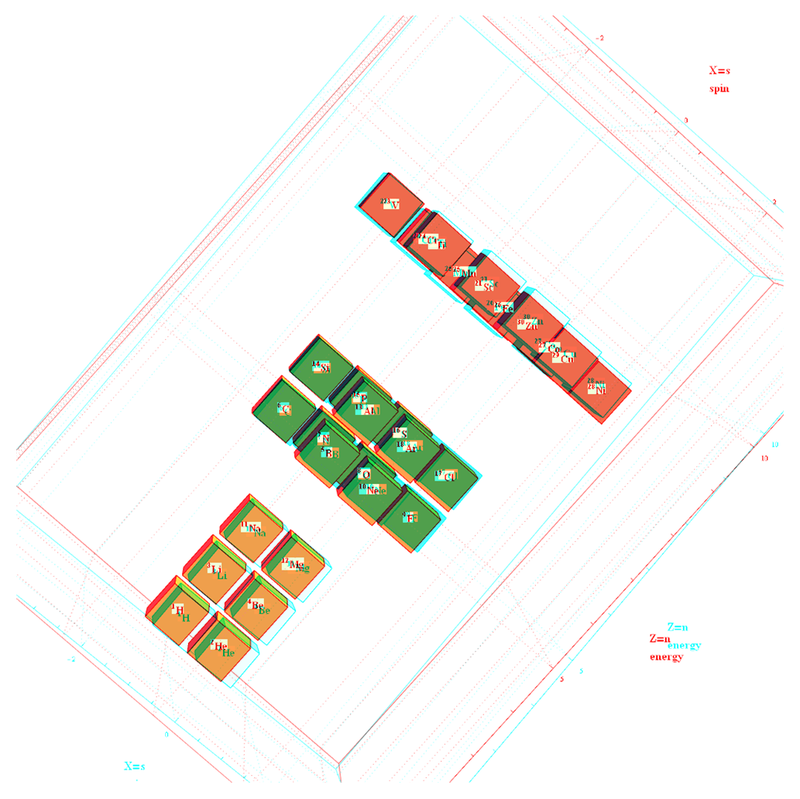 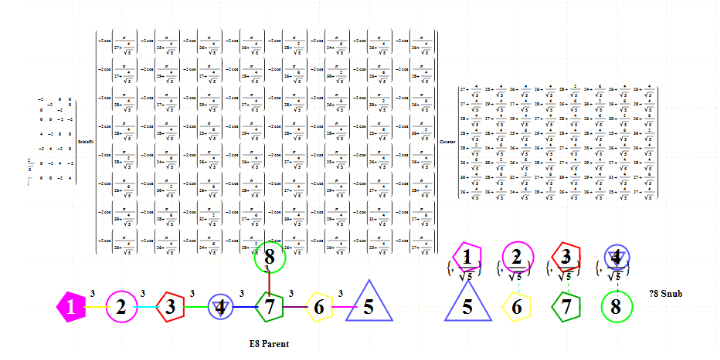 This paper will present various techniques for visualizing a split real even E8 representation in 2 and 3 dimensions using an E8 to H4 folding matrix. 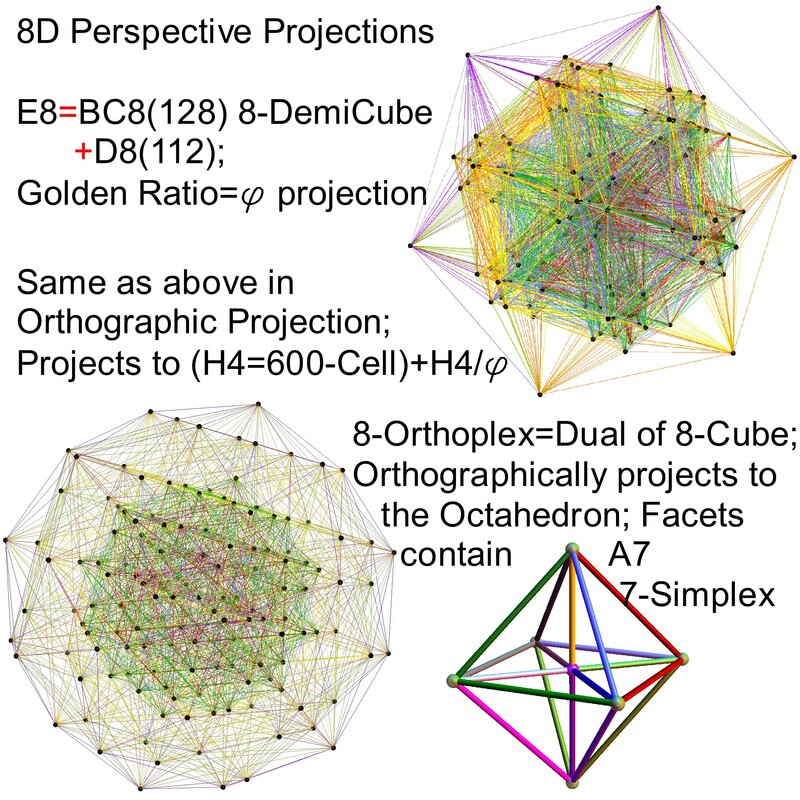 This matrix is shown to be useful in providing direct relationships between E8 and the lower dimensional Dynkin and Coxeter-Dynkin geometries contained within it, geometries that are visualized in the form of real and virtual 3 dimensional objects. 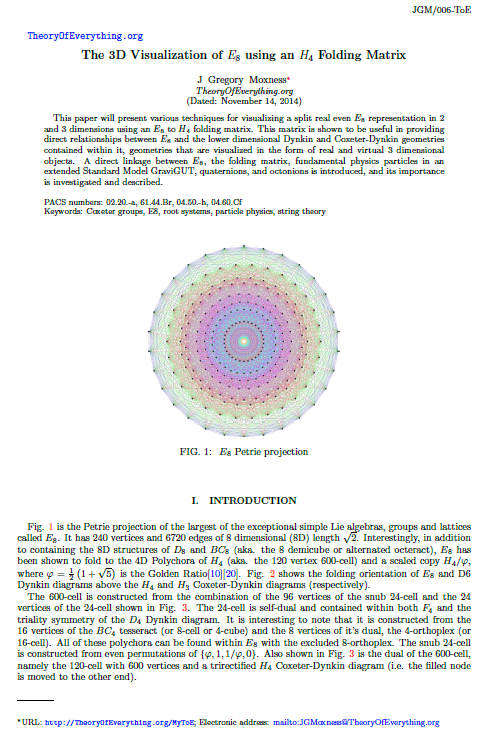 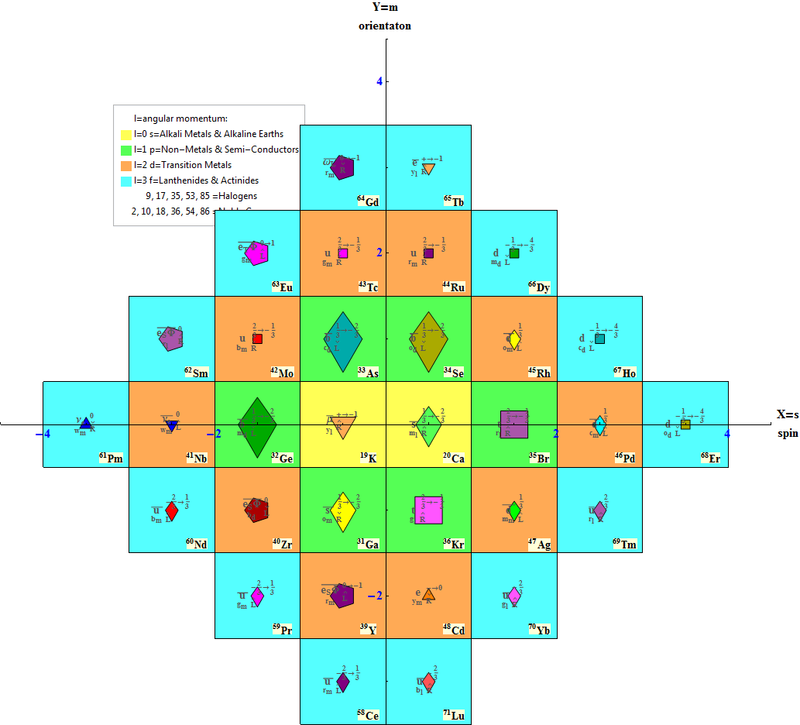 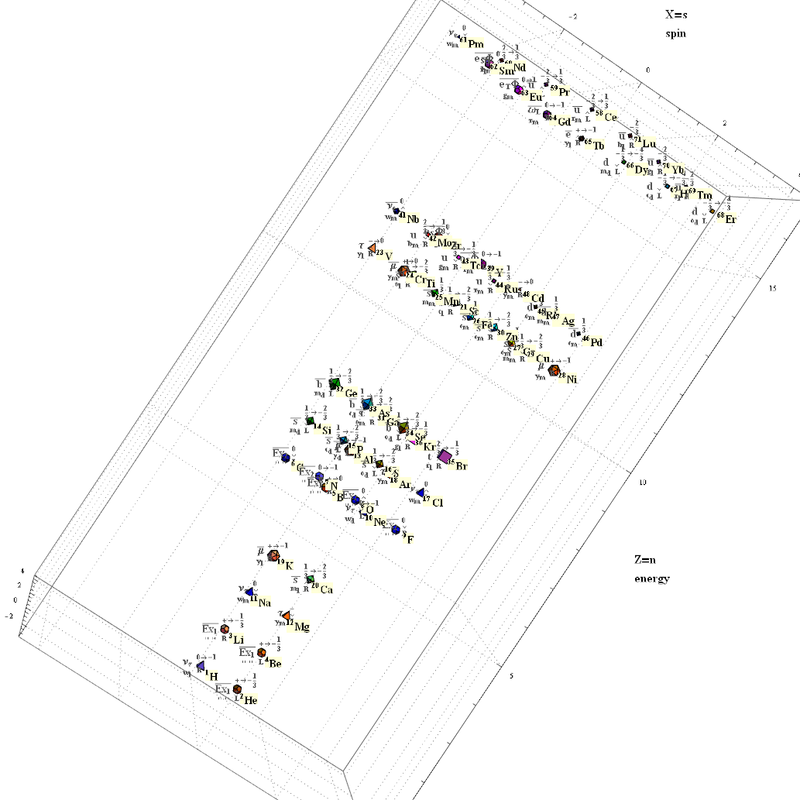 A direct linkage between E8, the folding matrix, fundamental physics particles in an extended Standard Model GraviGUT, quaternions, and octonions is introduced, and its importance is investigated and described. 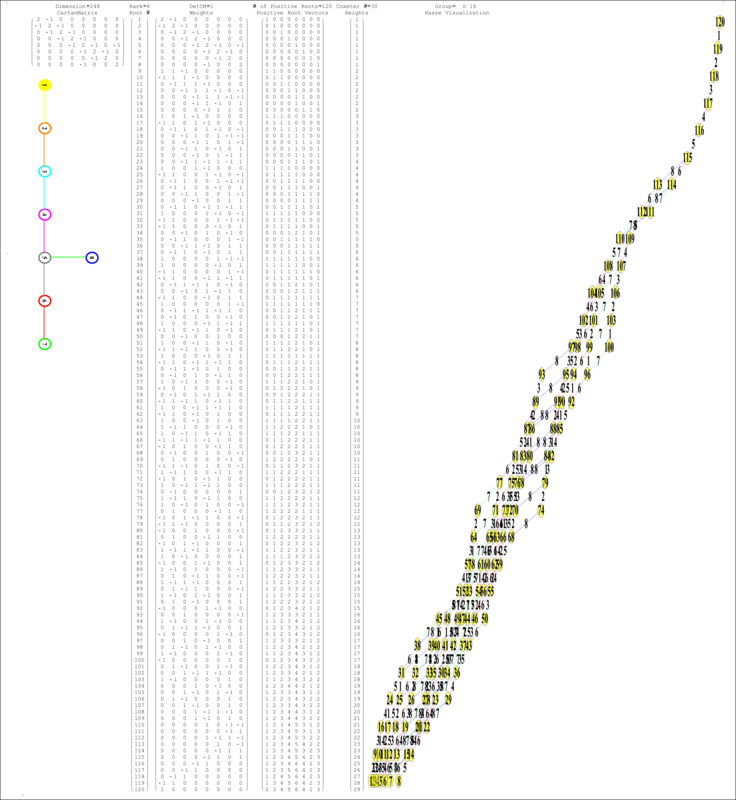 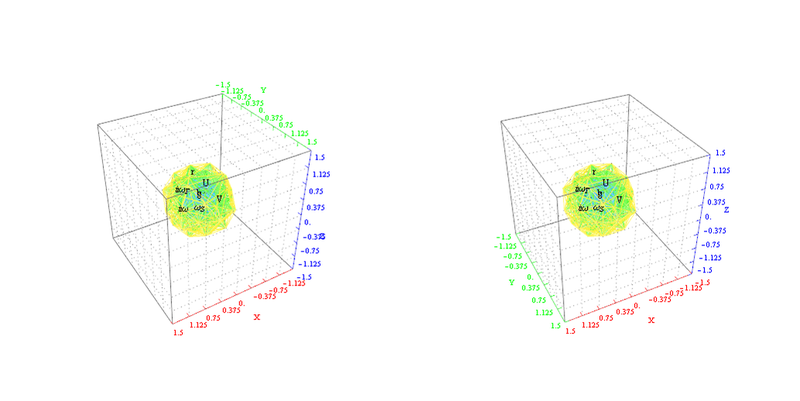 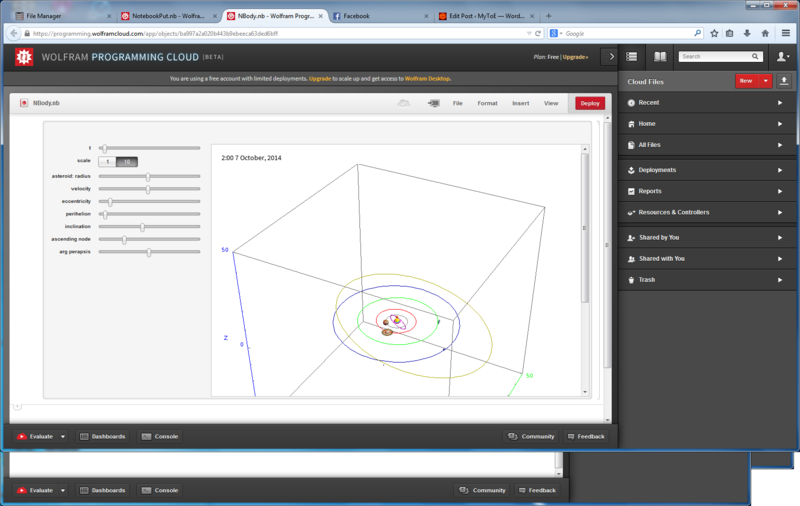 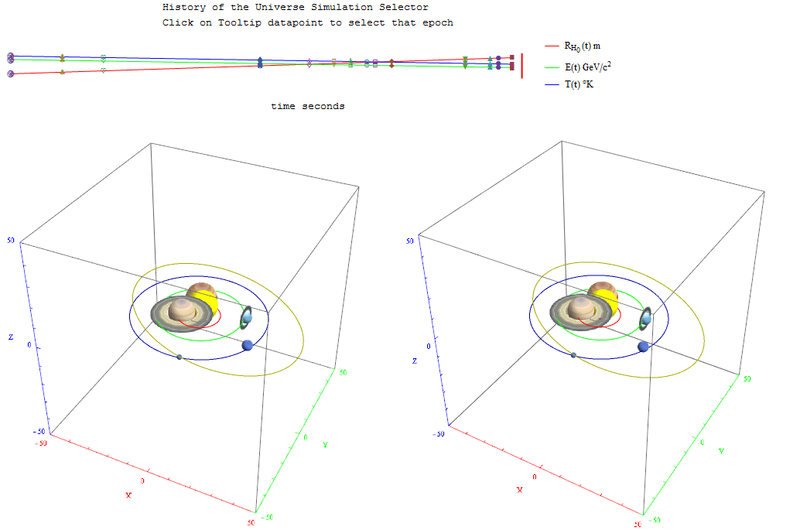 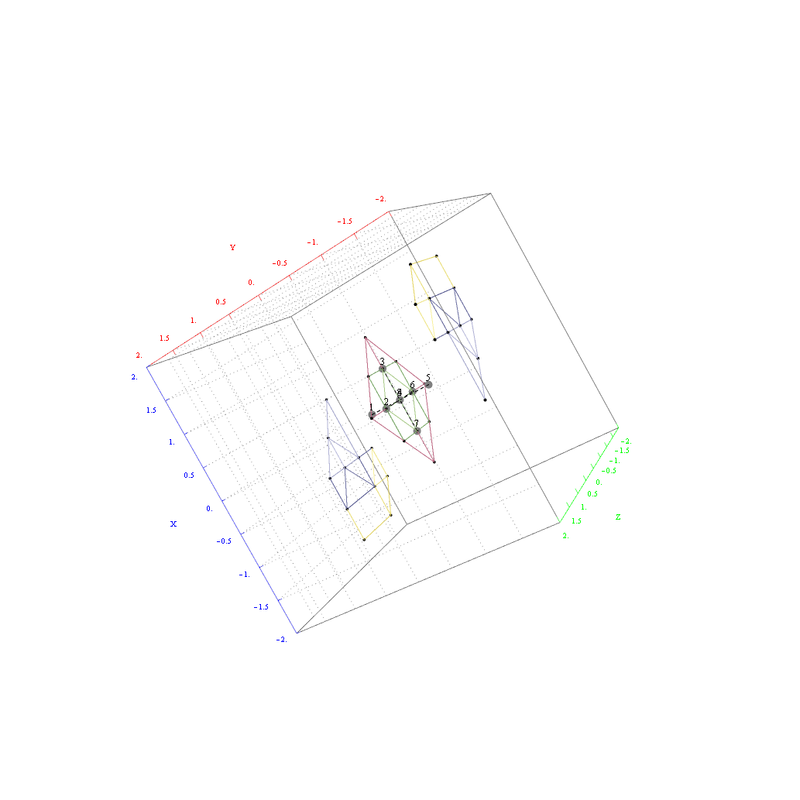 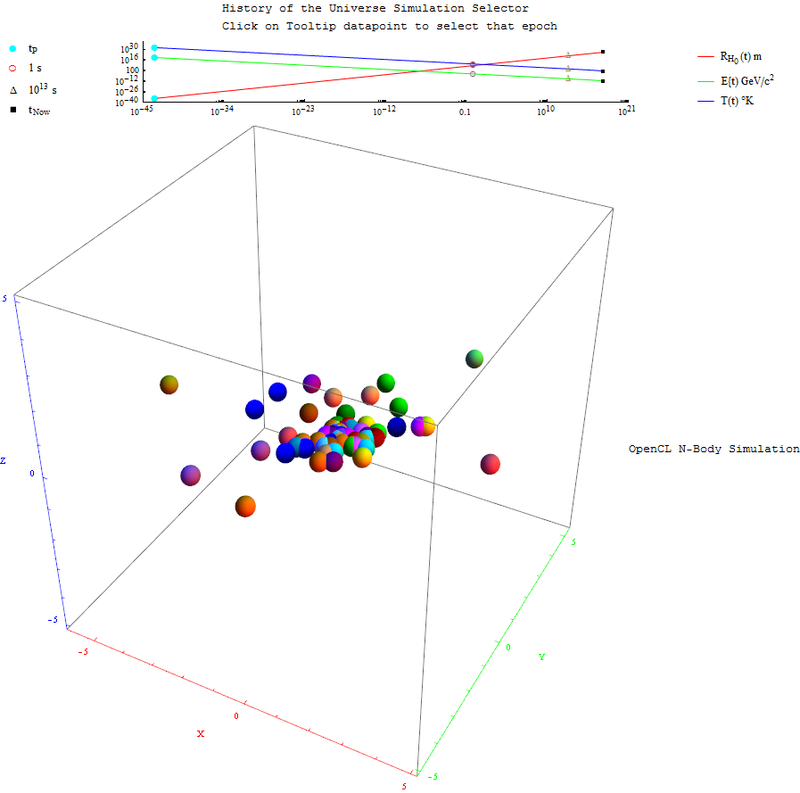 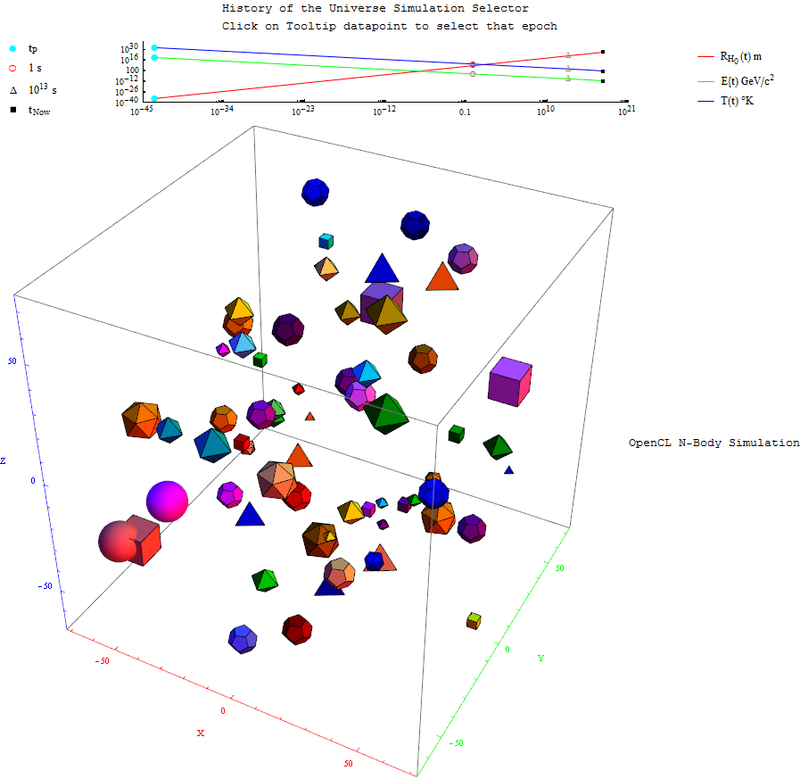 I’ve added Interactive Hasse Visualizations to the #2 Dynkin Demonstration Pane. 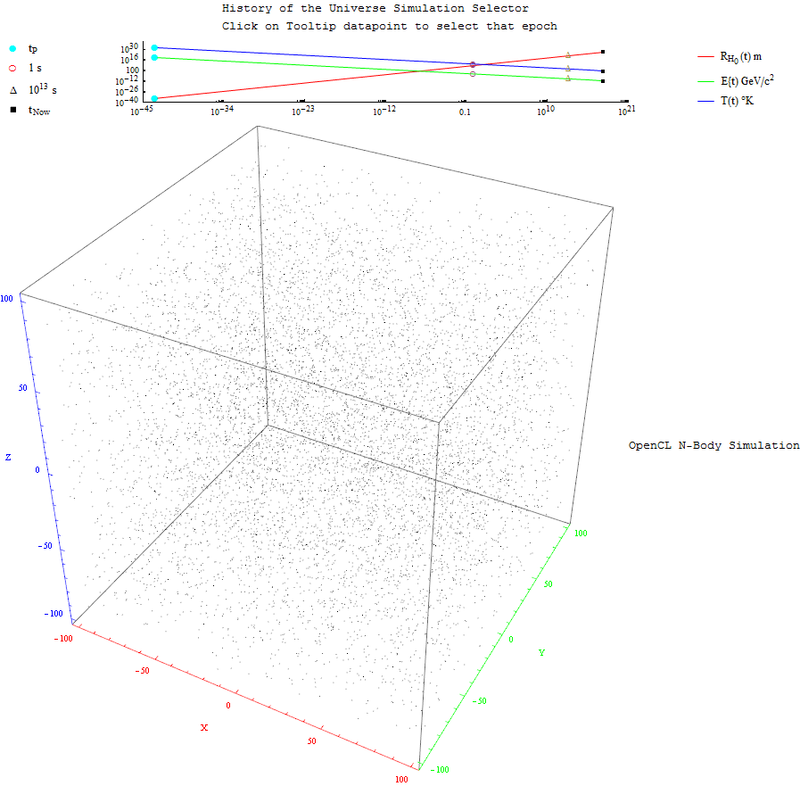 There is now a checkbox for showing the detail root vector data and Hasse visualizations (instead of the default interactive Dynkin pane). 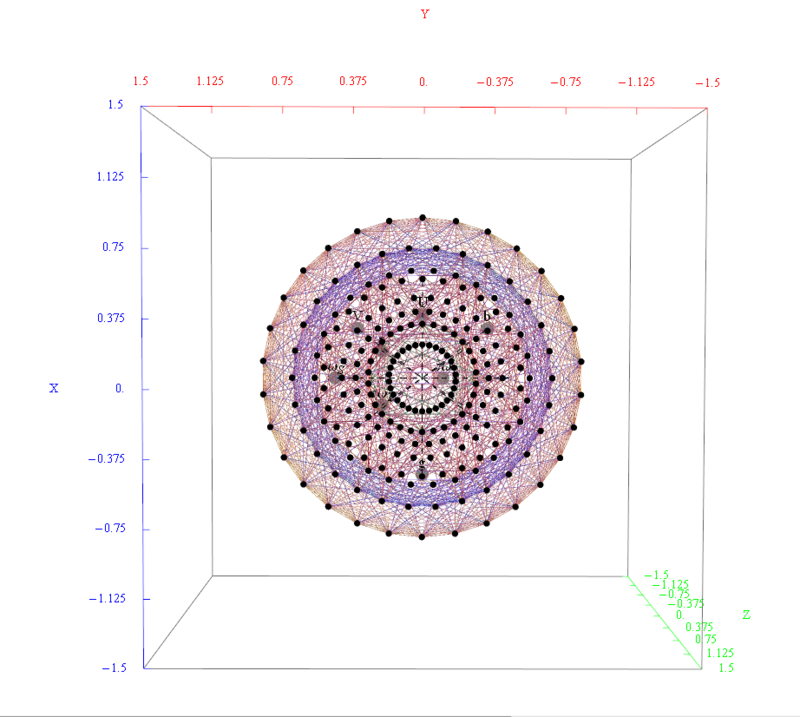 This is done from an integration of SuperLie 2.07 by P. Grozman. 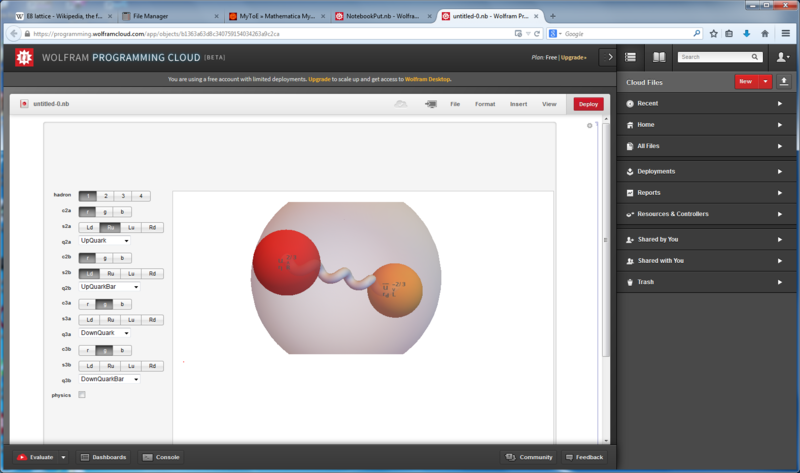 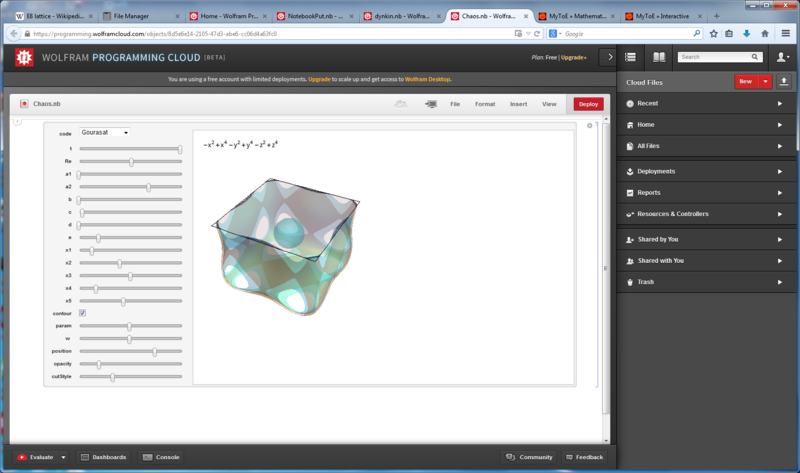 If you have a full licensed Mathematica, use ToE_Demonstration.nb. 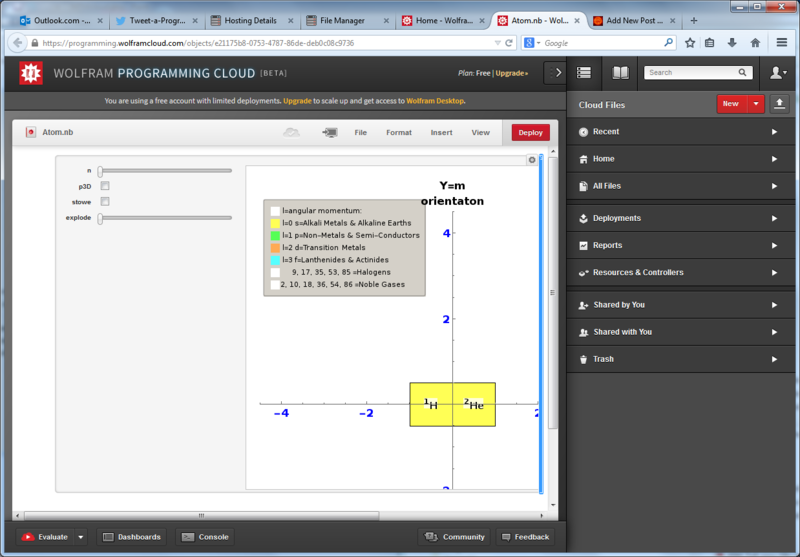 For use with the free CDF Player, use ToE_Demonstration.cdf or as an interactive web page. 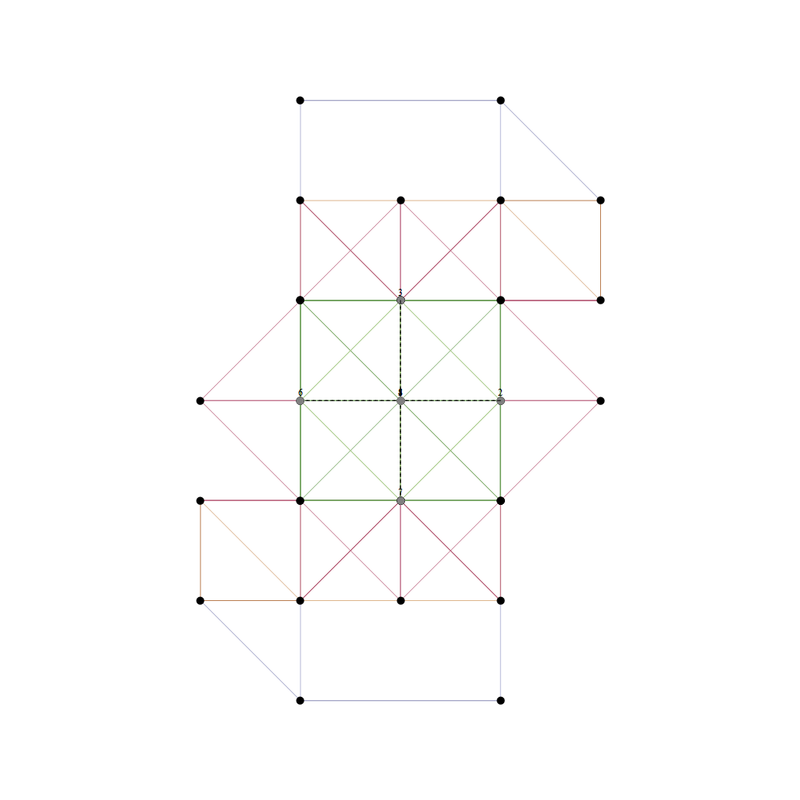 I found the rotation matrix that shows the E8 Dynkin diagram can indeed be folded to H4+H4/φ. 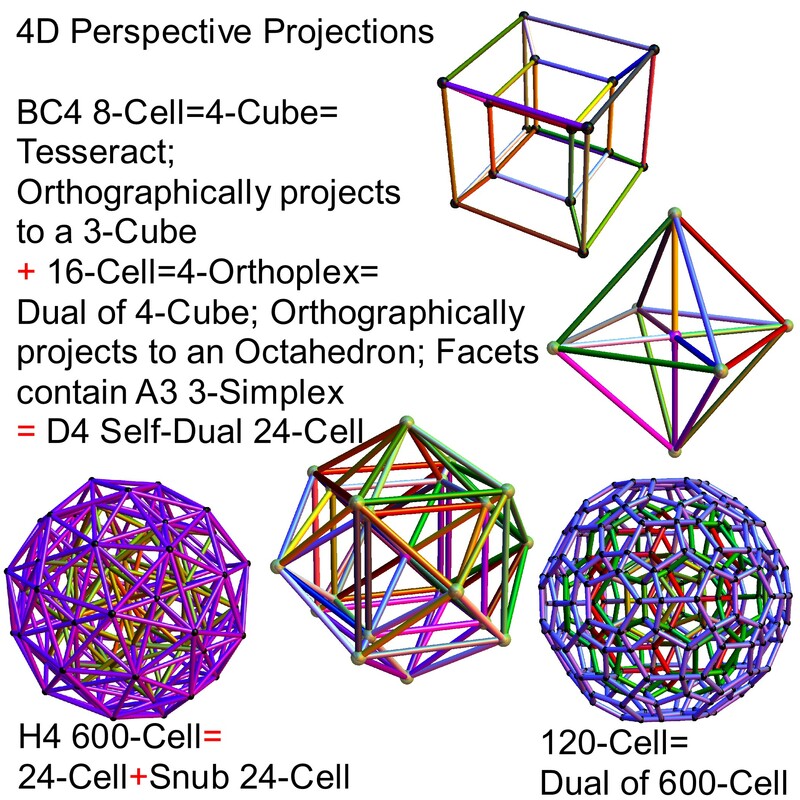 The H4 and its 120 vertices make up the 4D 600 Cell. 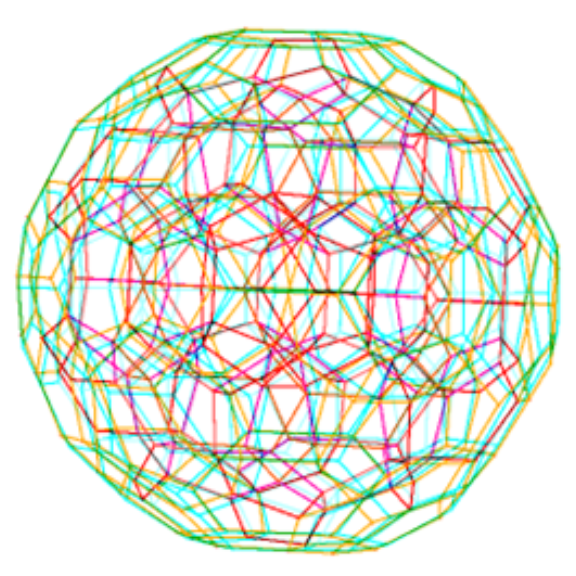 It is made up of 96 vertices of the Snub 24-Cell and the 24 vertices of the 24-Cell=[16 vertex Tesseract=8-Cell and the 8 vertices of the 4-Orthoplex=16-Cell]). 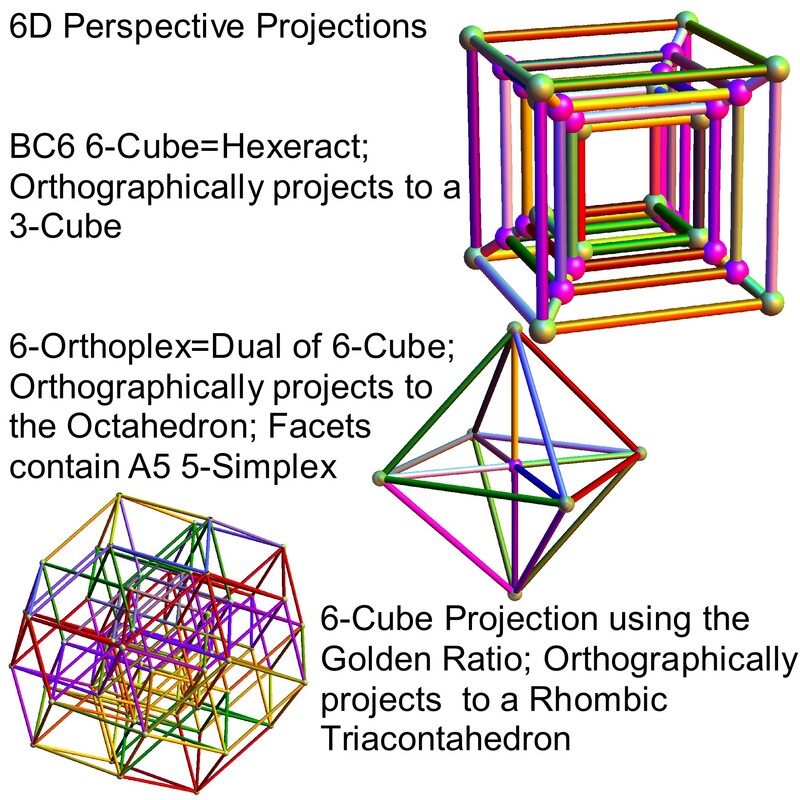 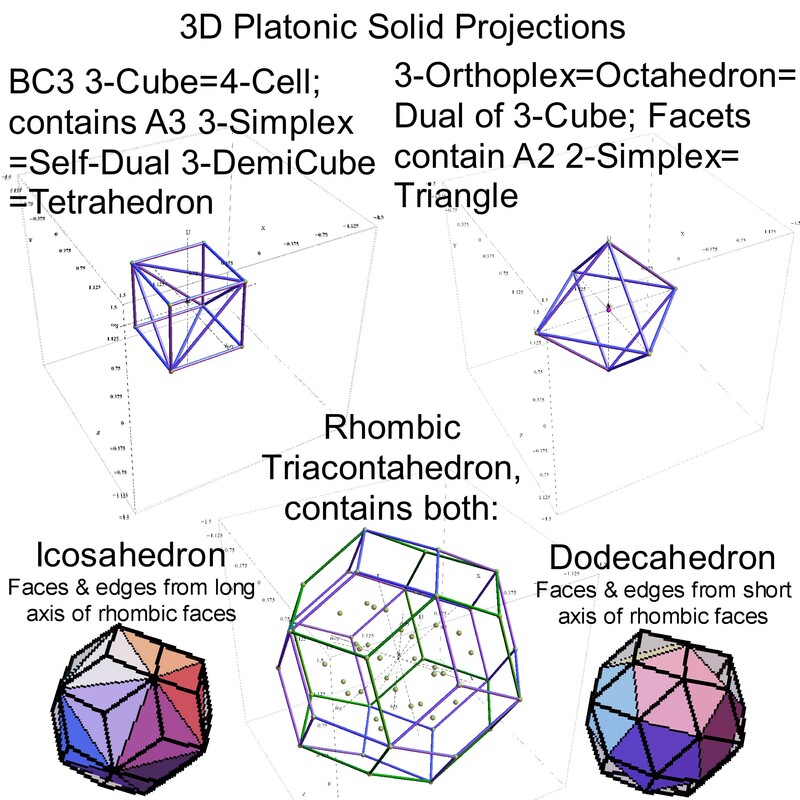 It is also interesting to note that the x, y, and z vectors project to a hull of the 3D Rhombic Triacontrahedron from the 6D 6 cube Hexaract (which then generates the hull of the Dodecahedron and Icosahedron Platonic solids). 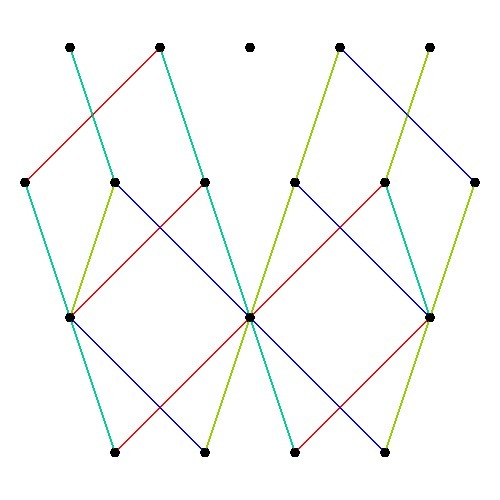 I find in folding from 8D to 4D, that the 6720 edge counts split into two sets of 3360 from E8’s 6720 length Sqrt(2), but the combined edges and vertices recreate the E8 petrie diagram perfectly. 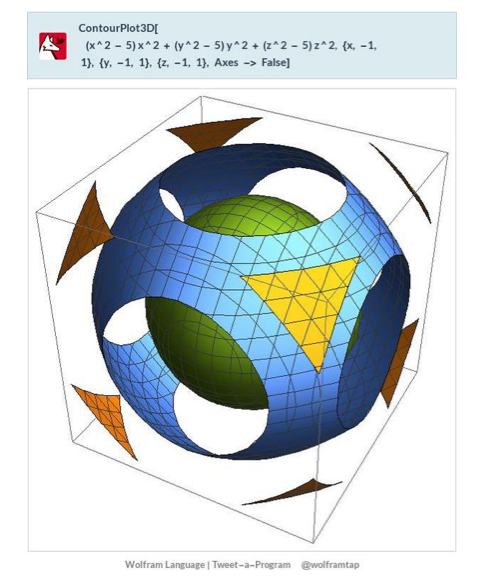 I am pleased to announce the availability of the comprehensive set of 238 Hyperbolic Dynkin diagrams ranks 3 to 10. 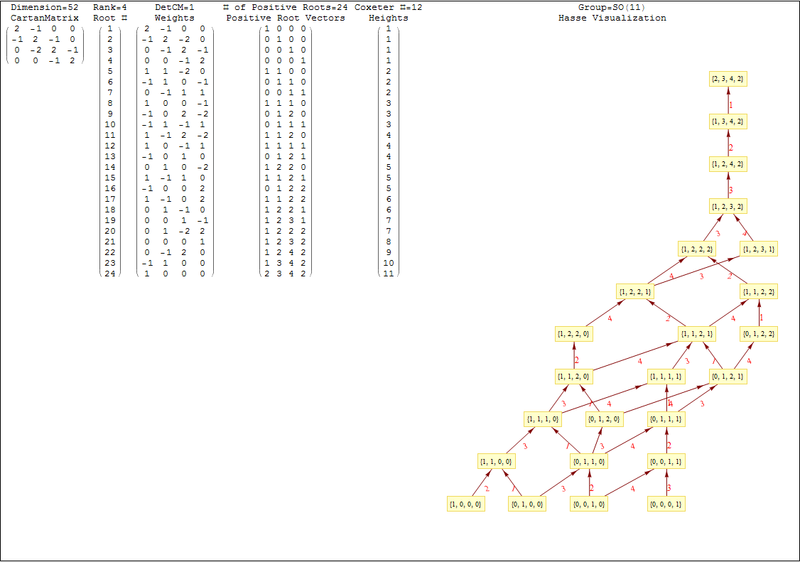 These are enumerated here. 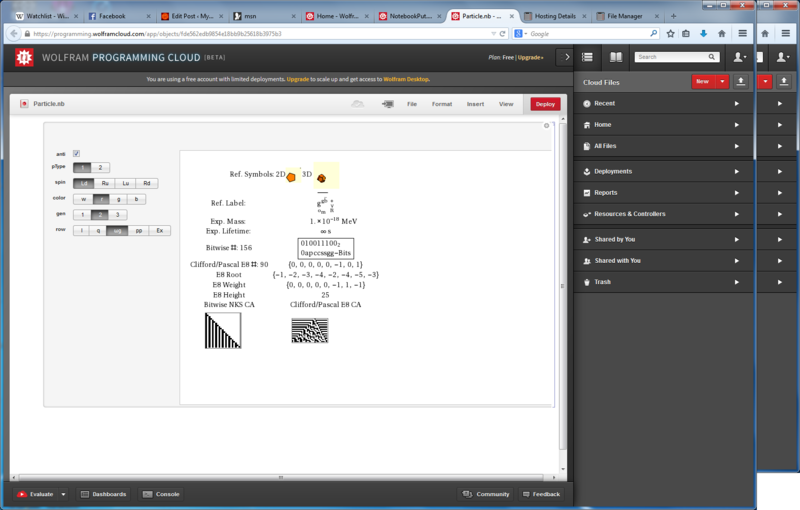 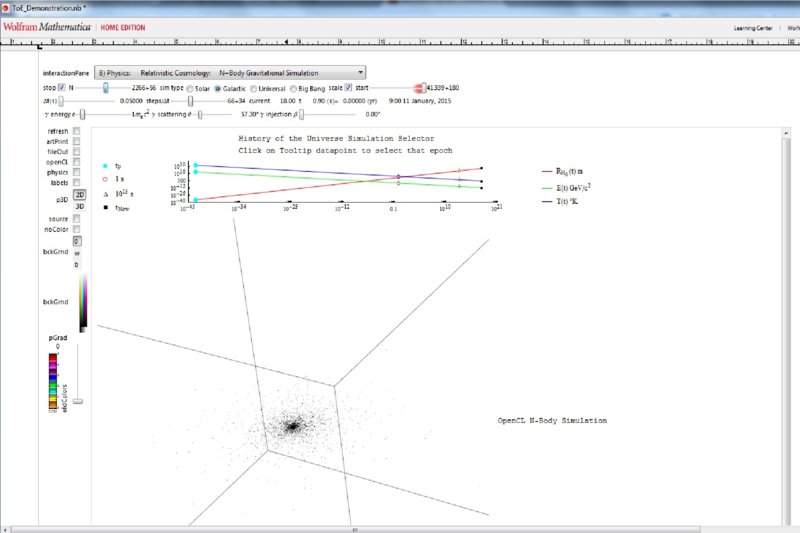 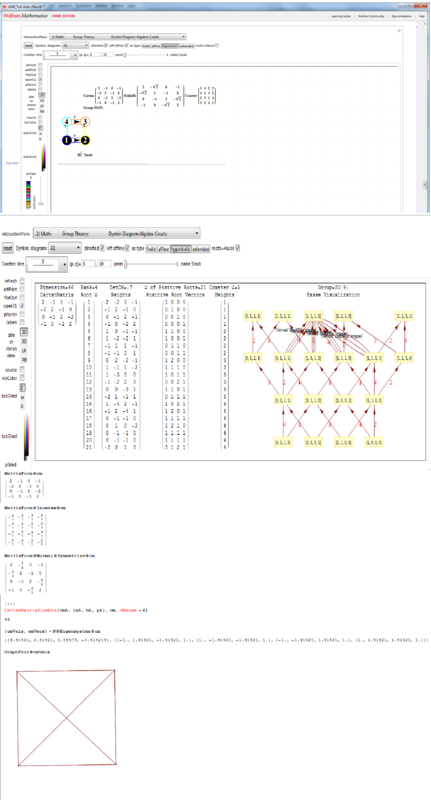 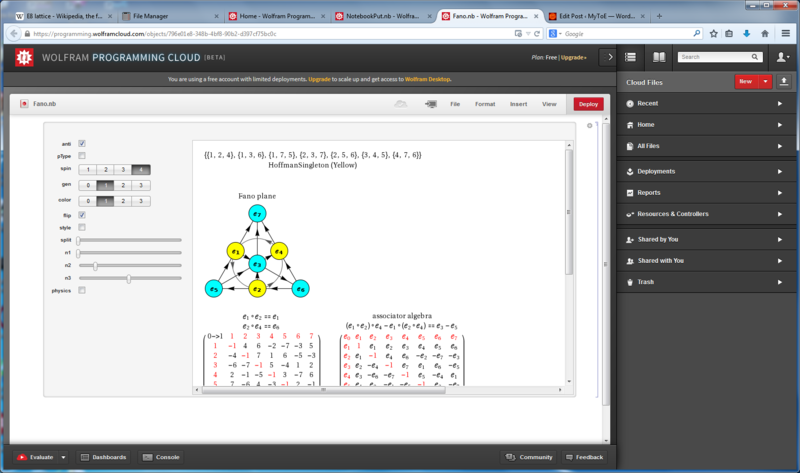 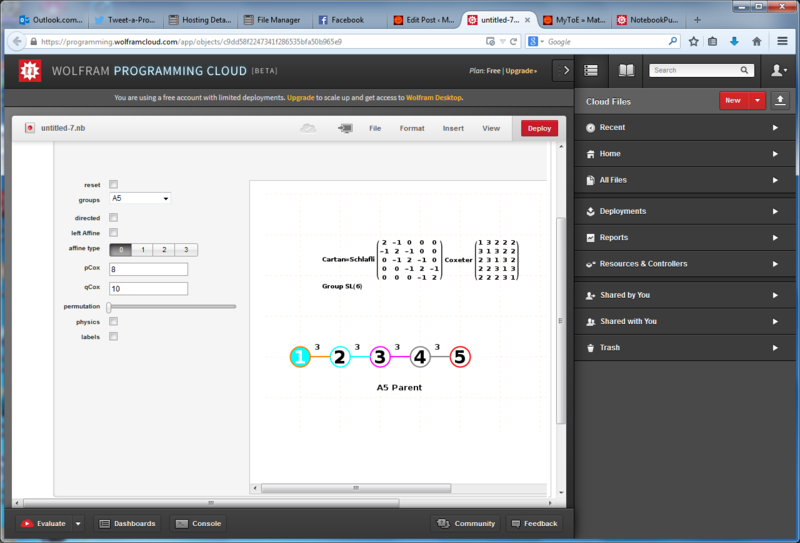 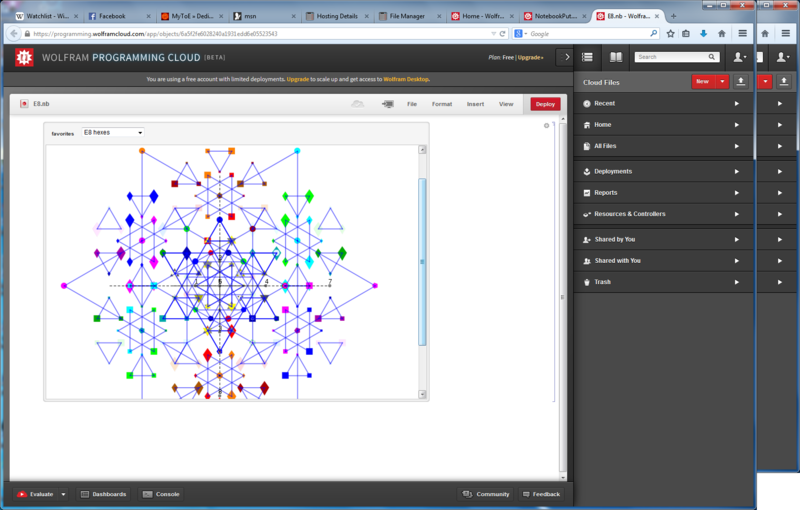 They are constructed interactively using the mouse GUI (or manually through keyboard entry of the node / line tables) from this Mathematica notebook or free CDF player demonstration document or interactive CDF player web page. 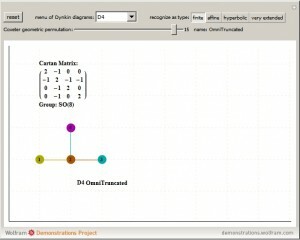 All of these demonstrations have now been updated to include the new options on Dynkin diagram creation, including left (vs. right) affine topology recognition, black&white vs. color nodes and edges, and for those with full Mathematica licenses the notebook allows for added Dynkin line types. 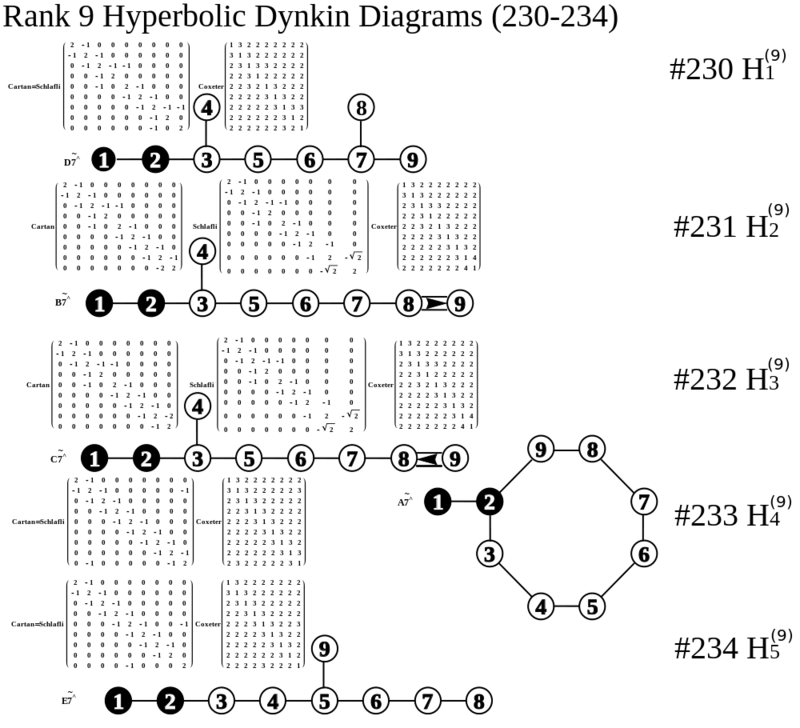 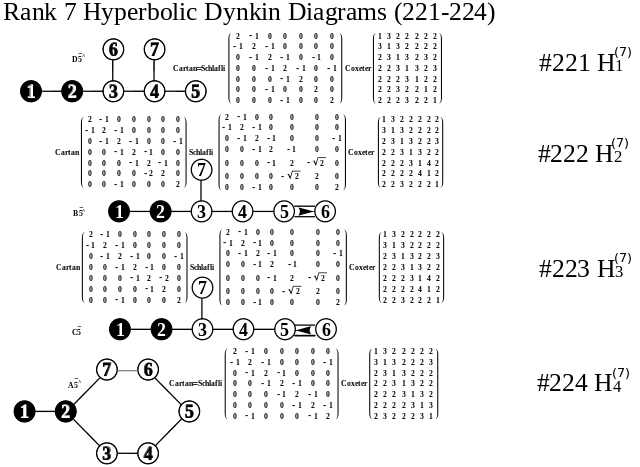 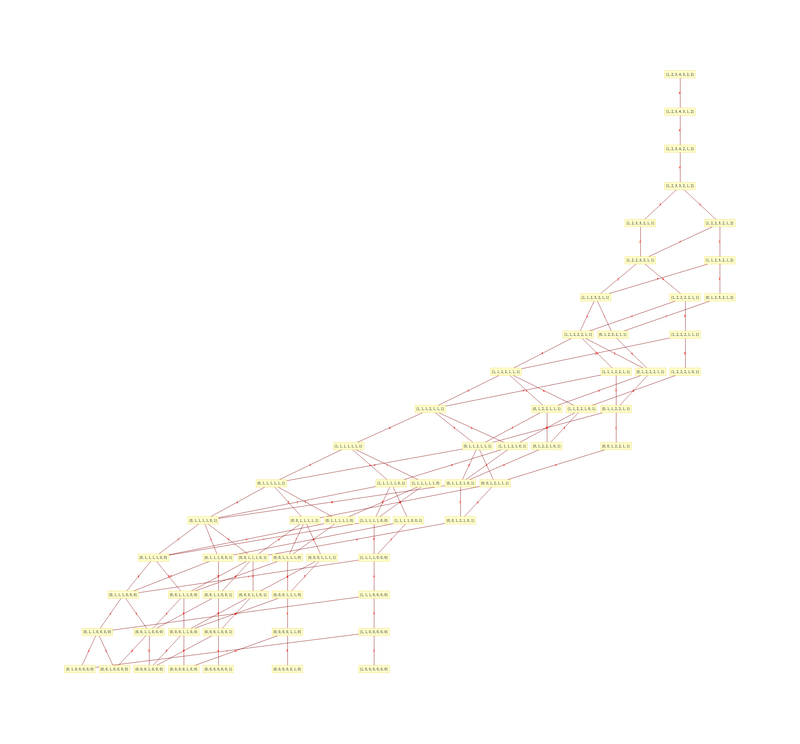 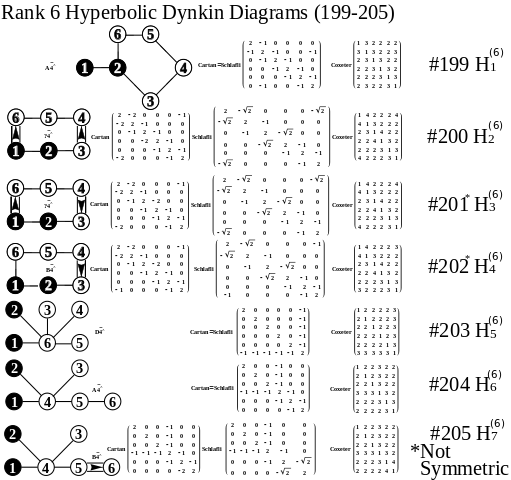 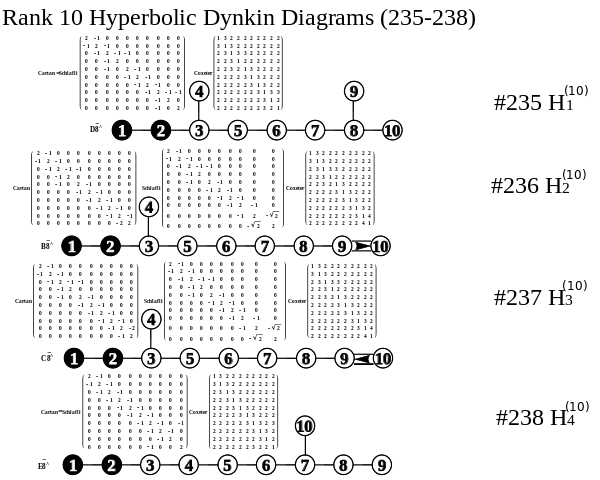 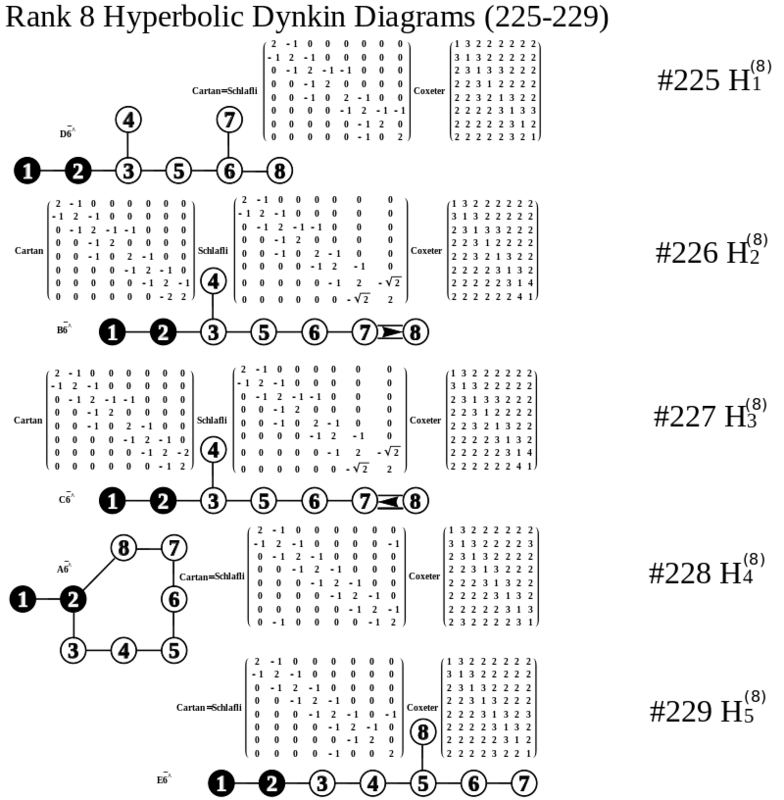 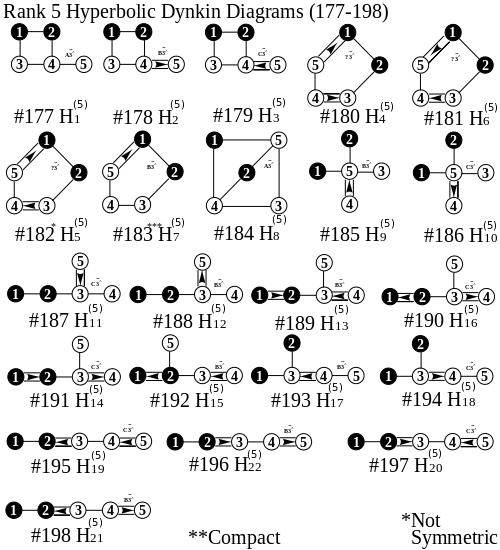 The Lie group names are calculated based on the Dynkin topology. 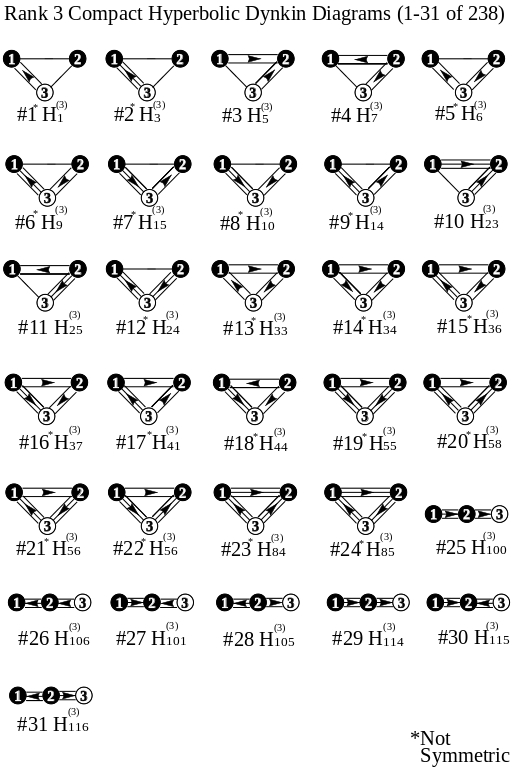 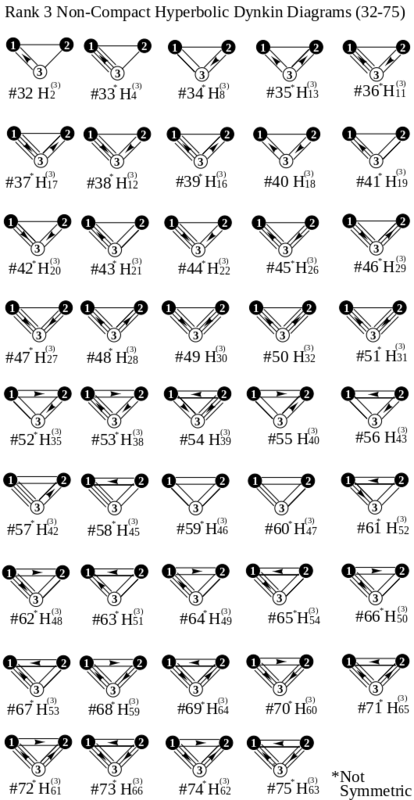 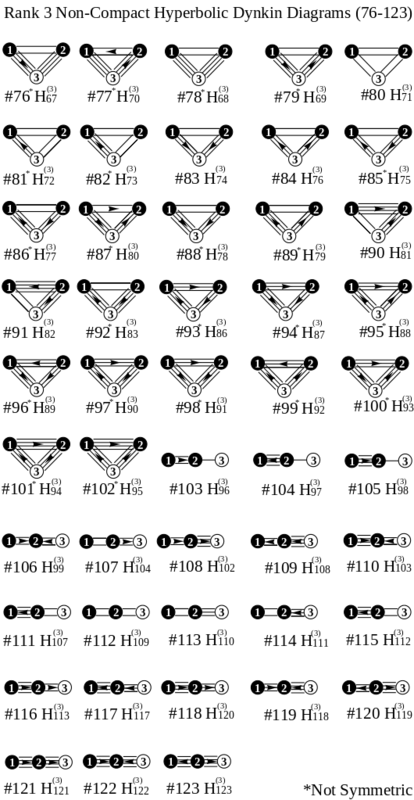 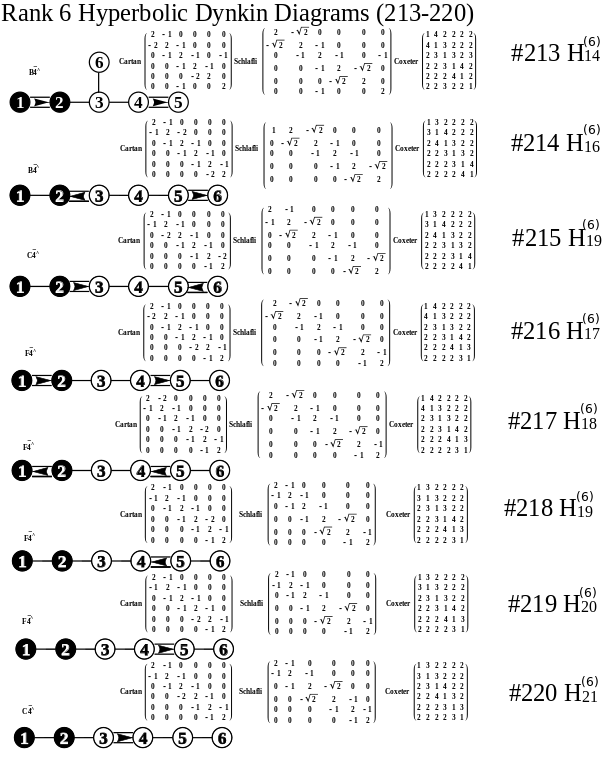 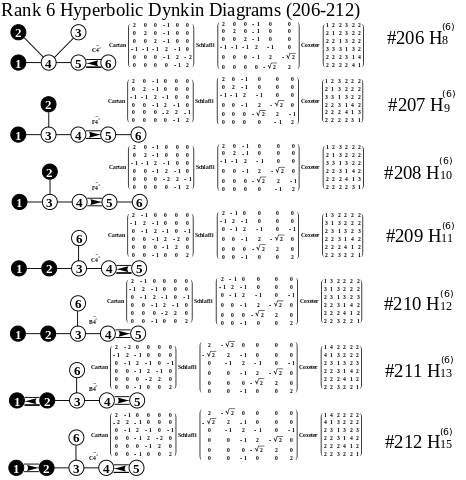 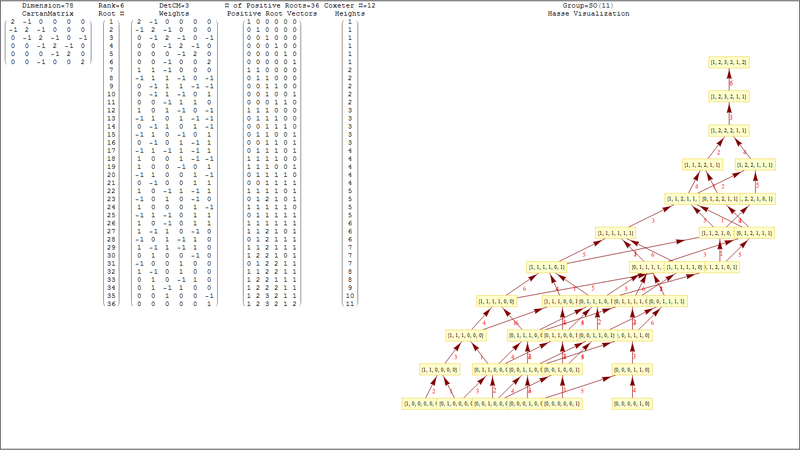 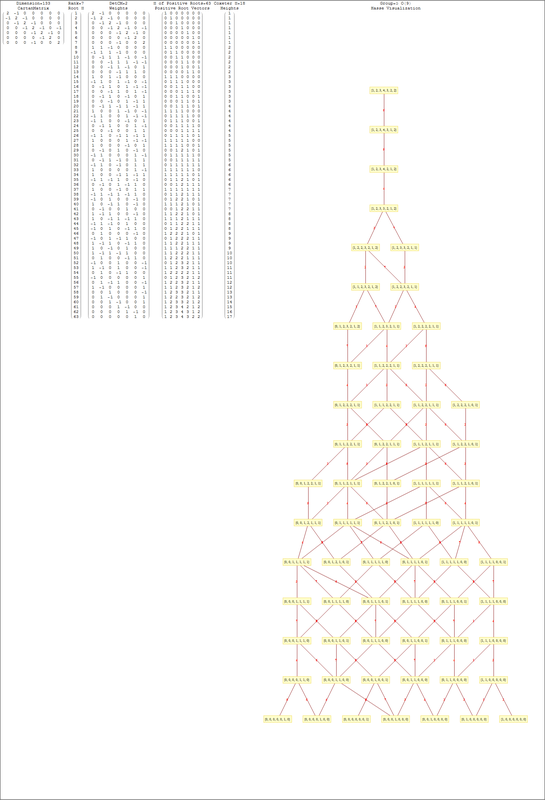 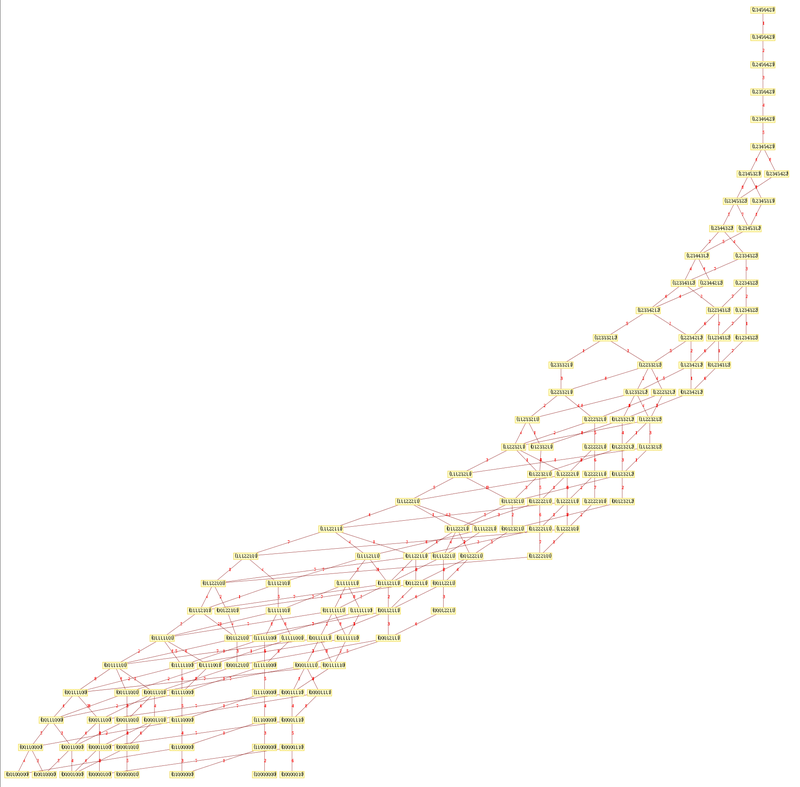 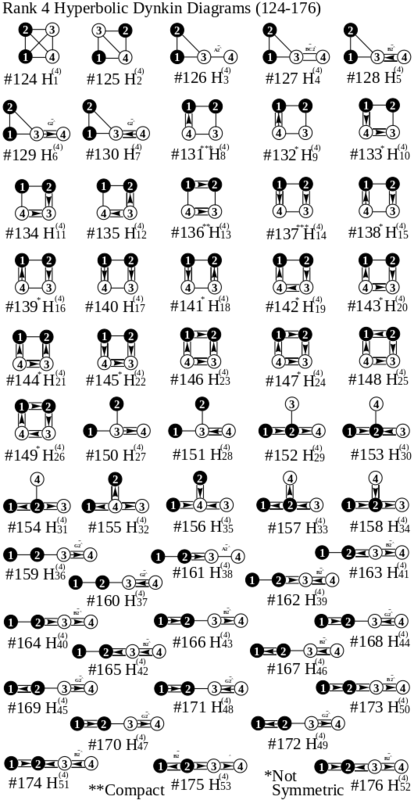 The geometric permutation names are calculated (to rank 8) based on the binary pattern of empty and filled nodes. 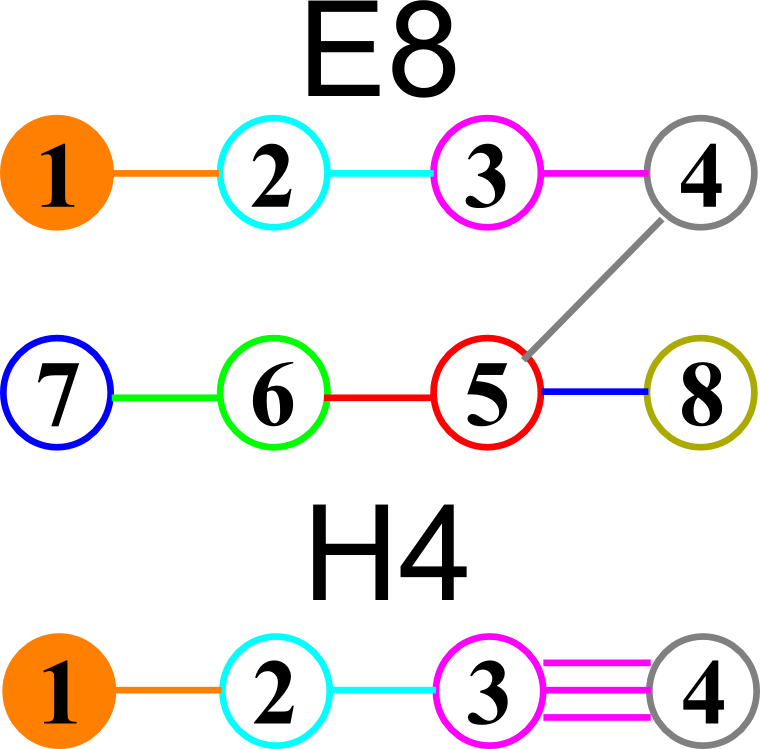 The node and line colors can be used as indicators in Coxeter projections and/or Hasse diagrams.